In the vineyard, the KOBOLD vine puller helps you by pulling out the cut vines and placing them in the row or immediately chopping them. 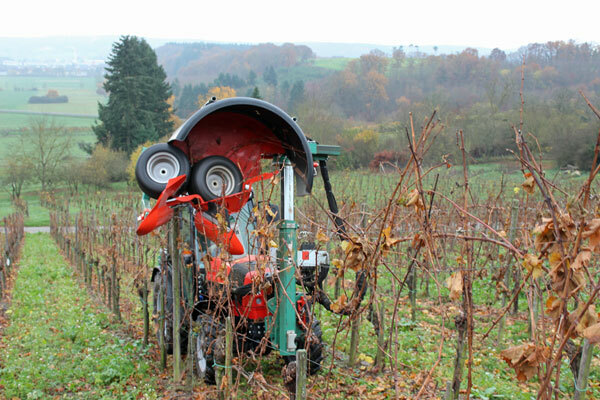 Prepare your vineyard for using the KOBOLD! Right from the first foliage cut, ensure that you have the correct cut and the correct height so that the KOBOLD can be used optimally at the end of the season. The shoots have to be at least 35 cm higher than the highest wire. The wire-frame has to be in a good condition and has to be as tight as possible. For the vine cut, the elbow will be released through approximately three cuts at the bending-wire. The provided fruit rod will be shortened at the upper wire so that it cannot be gathered by the cane puller KOBOLD. 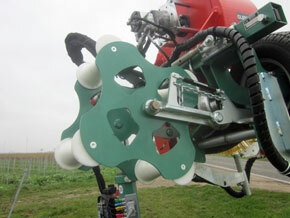 The KOBOLD which is installed in the front will be driven over the vine row. A pair of finger wheels will take the vine wood which was released at the elbow from the bending wire and put it into the KOBOLD. There the pair of finger wheels and a role keep the capturing wire down. Two driven tires pull the vine wood carefully out of the wire frame. 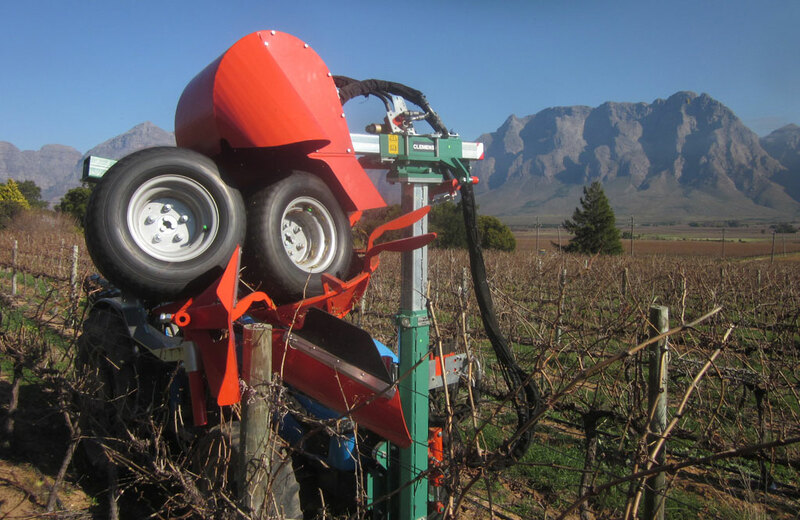 The brushing-wheels which are installed in front of the tires center the rods which makes a clean pulling in of the vines possible. After this the rods will be led to the middle of the row by the cover and put down. 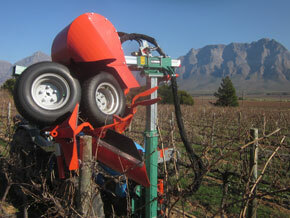 Optionally the cover has a chopper which will crush the pulled out vine wood before putting down. 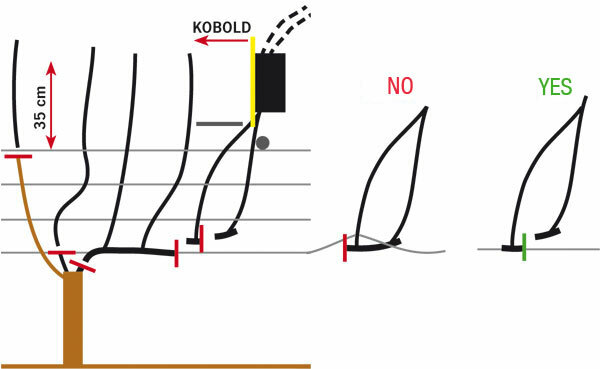 To leave the tire rotation speed as it is during changing the adjustment function, there should be two independent oil circles at the tractor! 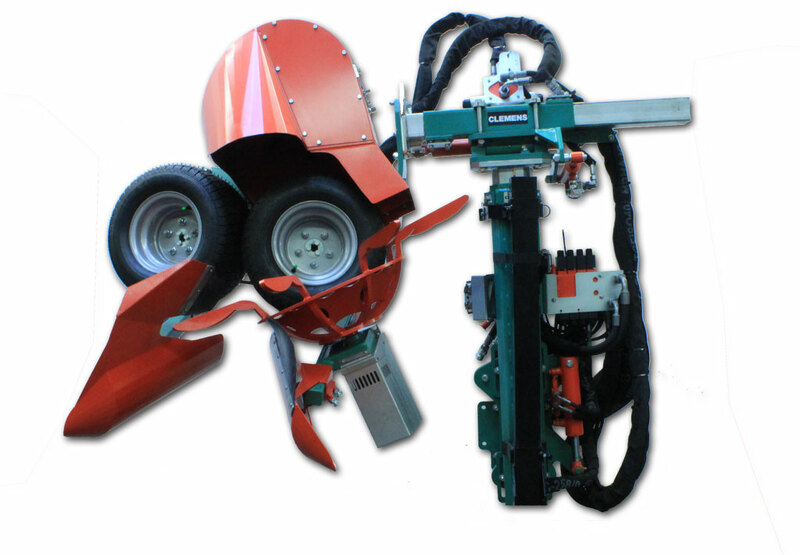 Optionally a hydraulic-unit for the three-point attachment is available. 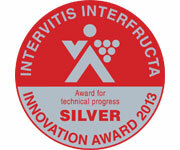 In the version with chopper a hydraulic-unit is part of the standard equipment! Two oil circuits are required. Primary oil circuit with a permanent minimum of 60 liters, on a single-acting control unit which drives the wheels, the finger wheels and the shredding unit (35 liters without the shredding unit). Alternatively, we can also provide a hydraulic unit appropriate to the model. The rotational speed of the finger wheels can be adjusted from the tractor. Secondary oil circuit with up to three double-acting control units to supply functions such as adjusting the lift mast, sideways tilt, and hydraulic transverse adjustments. For the attachment of the lift mast at the tractor the fitting mounting-brackets can be ordered a from the CLEMENS company.